The Growth program is the before and after school program focusing on the STEAM learning curriculum, education enrichment goals and outcomes, and musicianship for youth ages 5-12 years of age. Fay Biccard Glick Neighborhood Center @ Crooked Creek host a Food Pantry every Tuesday from 12:00 to 5:00 p.m. Clients can come once per month. The Farmers Market is held every Wednesday from 4pm-7pm with multiple farmers and vendors. Fay Biccard Glick Neighborhood Center at Crooked Creek Preschool is a place where children value their learning. The FBGNC Preschool became a licensed childcare in 2015 and received its Paths to Quality 3 accreditation in 2016. The FBGNC Preschool is open 6am until 6pm and accepting children 2-12yrs of age. The Center also offers and accepts CCDF/Scholarships/and Discounts. English as a Second Language is a Washington Township program to help non-native speakers to learn to speak English language which include listening, speaking, writing, and comprehension skills. Classes held on Monday and Wednesday from 9am until 1pm. Washington Township M.S.D. offers morning classes onsite for residents to receive their GED/HSE certificate or diploma. Classes are available Monday and Wednesday 9am-3pm and Tuesday and Thursday 9 am –1pm. 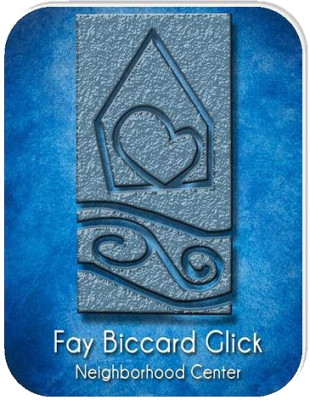 Fay Biccard Glick Neighborhood Center at Crooked Creek provides short-term assistance to families or individuals facing a financial crisis. Assistance support received through FEMA, Energy Assistance Program and others. Funding is limited and residents must call the center for more information and requirements. The Deal program, which stands for Dynamic Eating and Living, is an initiative nutrition education program designed for individuals and/or families. The program includes four hands-on cooking lessons, health focused workshops, shopping, budgeting tips, and couponing. Our goal is to assist residents of Pike and Washington Township regarding healthy eating and living. We are looking to engage several mothers and fathers ages 19-30yrs old that receive Supplement Nutrition Assistance Program (SNAP) to participate.